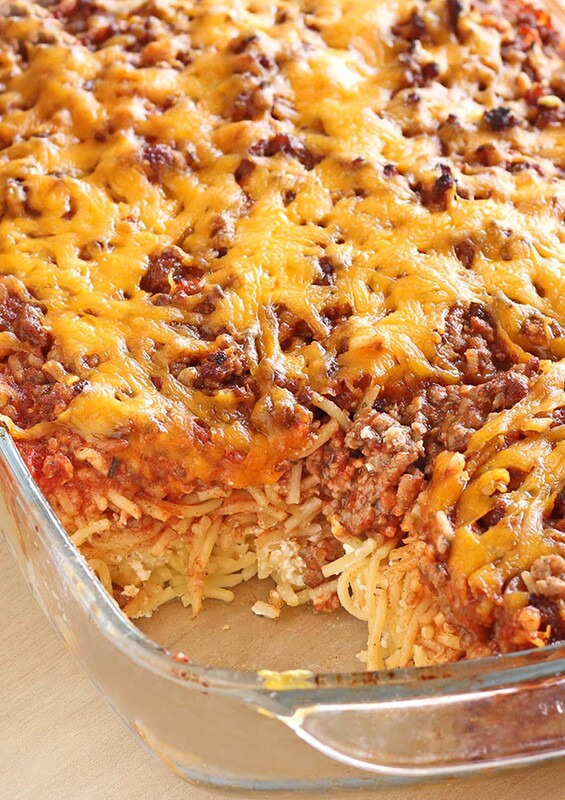 Spaghetti, spaghetti sauce, beef and cream cheese mixture meal … that tastes like a million bucks. Do you want to become a millionaire? Not quite the right one, but at least you can feel like a millionaire. 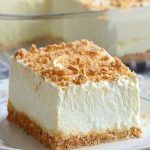 I use to make a similar dish but never thought to add cream cheese – DUH! That’s my most favorite ingredient…so of course, I will have to make this soon. My hubby can eat spaghetti every day of the week for a long while! Thanks much for sharing with us at Weekend Potluck. Please come again soon. Had anyone tried this and topped with mozzarella instead of cheddar?? I was thinking of leaving out the cheddar but your idea is even better! I have & it was amazing!! I’m trying it tonight… I can’t imagine why it would not be awesome! I have and it’s fantastic! I think it would be even better topped with grated parmesan. I have, just yesterday. It turned out deliciously wonderful! This looks amazing! I’ll be making this soon. I made this and we loved it, thank you for sharing. 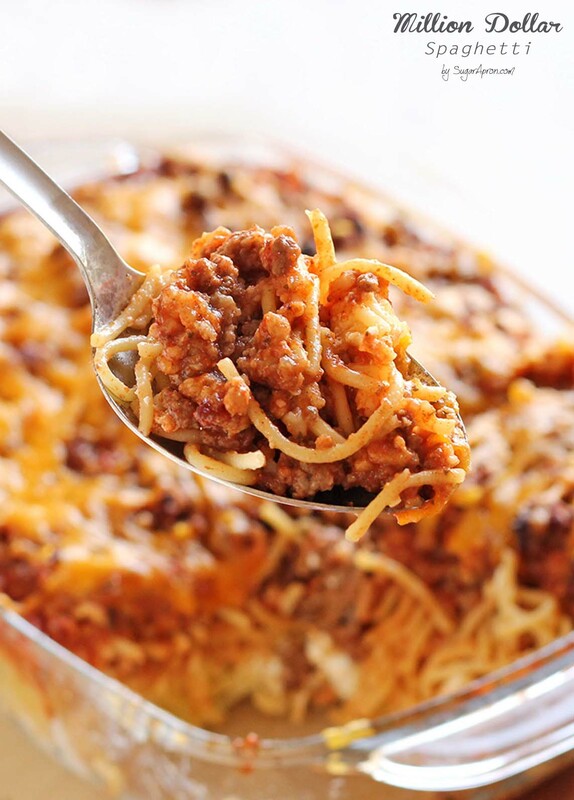 Your million dollar spaghetti looks so good…..can’t wait to make it……I think it’s because of the cream cheese in it….I love anything that has cream cheese in it…. 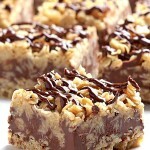 Am looking for a great chocolate walnut pie….would you have a recipe ? I’m making this tomorrow, looks wonderful….. do you think ricotta cheese could be subed for the cottage cheese? Love hearing that and I’m glad that you like it ! SURE !!! You can use ricotta cheese as a substitute. My mother made something similar,we used elbows, ricotta mixed with parmasean, mozzarella and egg-like in lasagna-and she’d make meatballs and crumble them into it all. We just mixed it all with the sauce and bake it! We called it baked macaroni, I married into a polish family(I’m Sicilian) that makes a dish called lazy pierogi, so I now refer to our dish as “lazy lasagna”! Second time making this dish, so OBVI..I just love it..not quite lasagna..but just as filling..
Hi! This looks DELISH! I was wondering if it can be frozen once all assembled (including top pats of butter) then thawed and baked when ready? I’m sorry Lia, I didn’t try that so I can’t tell, but I am guessing that you can assemble, freeze and then cook. I’ve done that before with a other spaghetti recipe and it cooked up just fine. I’d love to hear how it turns out! Made two batches, froze one. Thawed in the fridge and popped it in the oven, it came out perfect! I think the cream cheese would get a grainy texture if you were to freeze. 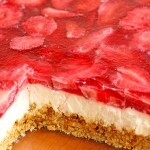 I will be making this this weekend, looks wonderful! This is in the oven right now. Can’t wait to try it. BUT I accidentally put 1 cup of sour cream in it instead of 1/4 cup so we’ll see how good it is. I have high hopes! I made this tonight and was running short on time so I mixed the meat and cheese items into one sauce. Also I’m not a cottage cheese fan so I substituted goat cheese and it was very tasty! Next time I plan to brown onions and garlic with a pork/beef mixture. So much easier than making a lasagna. Thanks for sharing!! Made this dish last night and it was a hit! I sauteed green & Red bell peppers, onion and a little garlic then added it to the sauce and meat. I also added some spices, a little Italian seasoning, which includes died basil and oregano. It was really creamy and rich. Next time I will decrease the cook time, since I think it was in for too long and use a thinner sliced cheddar cheese to get more of a thinner melt. Next time I will substitute the ricotta cheese for the cottage cheese. I would also use onion and peppers etc. I take these kind of recipes and add my spin. I doubled this recipe and made it for my son and a group of his basketball buddies tonight…it was a Huge Hit! Thanks for sharing! I love spaghetti so I must give this recipe a try. It does sound great. and not that long to prepare. A few modifications based on what we had in the pantry. Edamame Spaghetti Noodle and homemade pork sausage. I already know this is going to be amazing! I see the amount now. Sorry. This was amazing. The family loves it!!!! My mother-in-law makes a wonderful lasagna similar to this recipe, but uses Swiss cheese, so I would do Swiss cheese on top! I made this dish and it’s absolutely amazing. It’s in the oven right now…..I used 1/2 beef 1/2 pork mixture, added garlic and onions, plus included ricotta cheese. Can’t wait to eat it. Prepped this yesterday and baked today. Kiddos loved it. Definitely will be making this again and again. 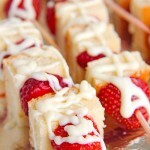 Love, love this recipe! Made this several times and is a family favorite. We make this at least twice a month. Thanks for sharing! This is what I’d class as an awesome company dinner. I would serve it with a small lettuce bowl filled with a strawberry/avocado salad and lime dressing on the side. I have tried this..love it..never had it fixed like this but really good.,I put sauce on first layer of speg so there would be sauce thru the whole recipe..thanks for the recipe it was fantastic..
Great recipe! And best of all, it’s keto friendly!